Synopsis: His orders are clear: launch a raid against England and bring home the spoils of war. But the prophecy is also clear: General Torben will take a foreign bride—one who is a seer and healer just like his mother. The eldest princess of England is said to be just that…a beautiful, charming, and headstrong woman. 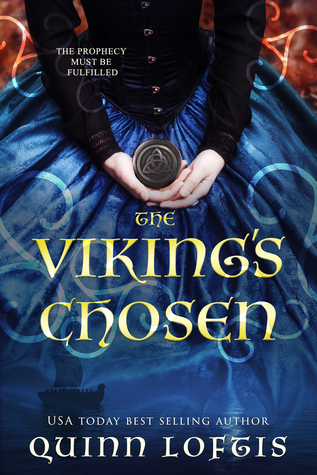 But he’s a Viking army general and she’s an English princess—and one who is already promised to the king of Tara. 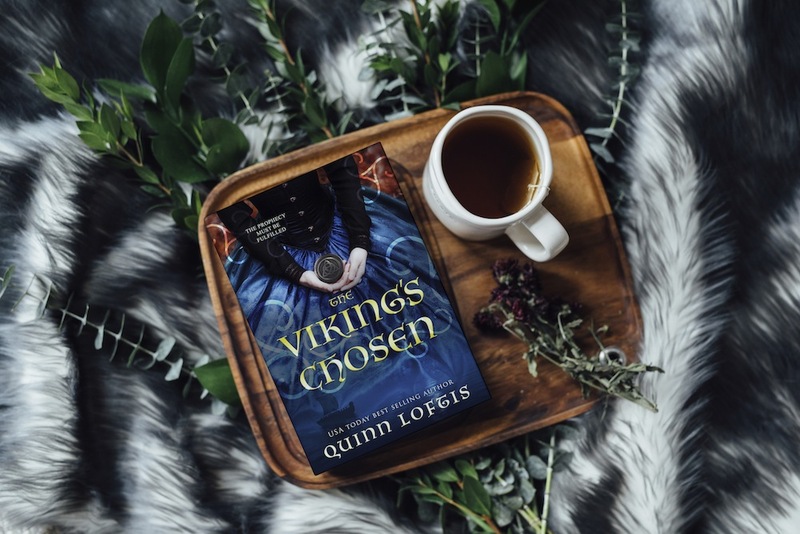 Two worlds collide in this epic historical fiction centered on an undeniable chemistry that smolders against the odds. Richly written and injected with moments of humor, this action-packed romantic tale will leave you breathless. 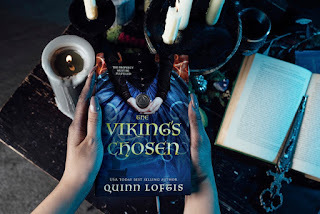 Quinn Loftis is the author of twenty novels, including the USA Today Bestseller Fate and Fury. “At least he does not resemble the back end of a boar,” Dayna whispered. I shot my sister a quick nod of agreement and then covertly turned back to peer at my future husband who was currently conversing with my father. After our morning ride, my sister and I had found a hiding spot behind some large drapes just to the left of the room occupied by our guests. It afforded us the surreptitious ability to listen and watch with the two kings interact. Thomas had taken his leave, but not before he informed me of what he thought about our childish behavior. I did not care if I was being childish. 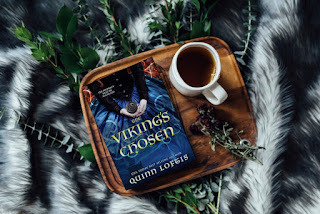 I was not ready to meet King Cathal just yet, at least not without a little advance warning of what I would be dealing with. I had been surprised to find that my future husband was not nearly as old as I had thought he would be. If I had to guess, I would put him at eight and thirty, or, at the very oldest, two and forty. His hair was dark, cut close to his head. He had deep green eyes, a hawkish nose, and thin lips that seemed to hold a perpetual scowl. Standing at a little over six feet, King Cathal was lean but obviously muscular. Yes, he was handsome, but the cold, detached look in his eyes ruined any favor I might have found in him. “Do you think it hurts to hold his face like that?” Dayna asked. I made a motion with my hand to quiet her so we could hear what it was our father was saying to the king of Tara. “She has to know by now that I have arrived,” King Cathal was saying. His words came out clipped and low. “Allete tends to have her own mind about things. I am sure she will join us when she is ready,” King Albric said, attempting to placate his irritated guest. “And who allows such independent thinking?” Cathal challenged. “A woman should know her place.” His pointed look was aimed at the queen who stood quietly next to King Albric. I was sure my mother was going to smack the rude man, but a subtle hand placed on my mother’s wrist held her in place. “I understand your frustration, Cathal, but please be considerate of Allete’s situation. She is being courted by a man she has never met. She will be expected to leave with that man in a month’s time and travel to a place that is not her home, where she has no friends, no family. She deserves time to adjust.” King Albric, ever the diplomat, attempted to ease his counterpart’s temper. Based on Cathal’s pinched lips, however, his efforts were wasted. “Could you at least send for her?” The other king asked in a more civil tone. And then added, “Please,” all be it a bit begrudgingly. I snatched Dayna’s sleeve and gave it a gentle tug, indicating it was time for us to go. Like mice being hunted by a cat, we scurried from our hiding place and snuck to my bedchamber. We had barely made it inside when there was a knock at the door. “Enter,” I said, attempting to keep my voice from sounding breathless. Lidia entered. The look on her face was one of trepidation. “The king requests your presence,” my handmaiden said in a soft voice. Dayna laughed. “Allete would never punish you, especially not for telling the truth.” She lowered her voice conspiratorially. “We already saw him. We spied on them.” Dayna winked, looking completely unrepentant. Lidia lowered her hand and made an ‘O’ shape with her mouth. Quinn is an award winning author who lives in beautiful Western Arkansas with her husband, two sons, Nora the Doberman, and Chewy the Cat who thinks he's a dog. 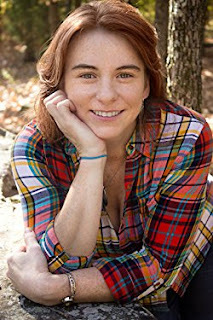 She is the author of 17 novels, and 2 novellas, including the USA Today bestseller, Fate and Fury. Quinn is beyond thankful that she has been blessed to be able to write full time and hopes the readers know how much all of their support means to her. Some of her hobbies include reading, exercising, crochet, and spending time with family and friends. She gives all credit of her success to God because he gave her the creative spirit and vivid imagination it takes to write. Cate, a teenage girl from twelfth century England, joins her brothers and aunt on a crusade to save Jerusalem that stops in Hispania to battle the Moors. Life on a battlefield strains the family’s closeness as they confront the terror and contradictions of holy war. Cate’s dreams of sainthood change to those of a husband and children when she falls in love with a soldier, but she finds no peace even after the family settles on land taken from the Moors. Cate’s friendship with a conquered Moor soon leads to impossible choices as she faces the cost of betrayal and the loss of all she’s known. Source: Netgalley/Publisher in exchange for an honest review. 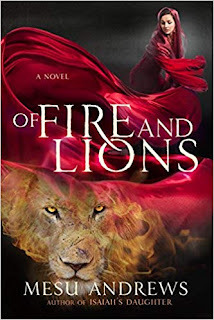 Synopsis: The Old Testament book of Daniel comes to life in this novel for readers of Lynn Austin's Chronicles of the Kings series or Francine Rivers' Mark of the Lion series. Synopsis: A never-before-told love story of George Washington and heiress Mary Philipse based on historical accounts, letters, and personal journals by nine-time New York Emmy Award-winning journalist Mary Calvi. Did unrequited love spark a flame that ignited a cause that became the American Revolution? 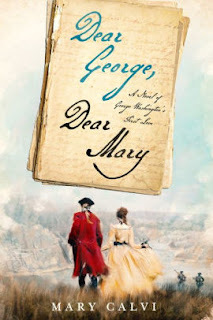 Crafted from hundreds of letters, witness accounts, and journal entries, Dear George, Dear Mary explores George's relationship with his first love, New York heiress Mary Philipse, the richest belle in Colonial America. I graduated from St. Mary's College of California with a Bachelor of Arts degree. I recently graduated with a Master of Arts degree in Elementary Education and a teaching certification. I am a DJ and a small talk show host at the local radio station,105.5 WYTM-FM. I like to read books, and I am a fan of historical fiction and history. I have created this book blog because I like to discuss my love of these genres with readers around the world. Clovers and Fire is $3.99 on kindle and on paperback for 7.99! It's a witty fast-paced fairy tale! A book that readers of all ages will enjoy! For more information about Clovers and Fire, click the image below! "This story wouldn't be complete without our two heroes, King Stefan and Prince Chauncey, a ferocious ravenhog, young maidens, an ugly troll, and a sea fairing quest to Dreamland. The quest, to see who will win the beautiful Princess Cassandra's hand in marriage. I don't want to spoil the ending, but will say this is not an easy feat. How would you stand up to a fire breathing dragon and a friend that betrays you? This story wraps up forgiveness, bravery, and just pure excitement. I'm a firm believer that if a child doesn't like to read, they haven't found the right book. This book will make readers through its flowing writing style and engaging story. #1 Ultimate Hello Kitty Fan! Stop-Motion Animation: A Creaky Artist's Studio and a Little Clay Girl "On the Other Side of the Woods"